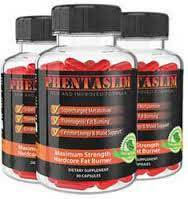 Phentaslim UK, Best Diet Pill of 2019 Today! 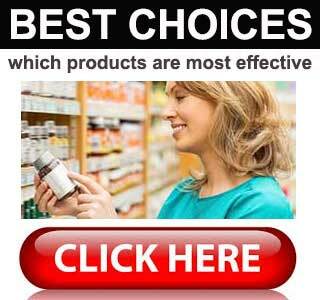 Phentaslim diets pills have been around for quite some time and there is no shortage of postive reviews. That’s a good job because the name “Phentaslim” could cause some potential buyers to tune-out instead of tuning-in. The popularity of the hard to get hold of prescription drug Phentermine has encouraged a countless number of manufacturers to produce sound-alike products. The vast majority of them do not work and Phentermine substitutes have become somewhat of a within-the-industry joke. The fact that Phentaslim has received such a vast amount of good feedback shows nobody is laughing. Let’s take a good look at the product and try to ascertain why. Phentaslim is available to order direct from it’s official website. There are multiple ways to buy from single bottles to multi-buy offers. The current best offer is buy 3 and get 1 free – this works out to be £25 / $35 per bottle. Each bottle lasts around a month. Green Tea (375mg): A popular diet pill inclusion that provides antioxidants that can boost the health. 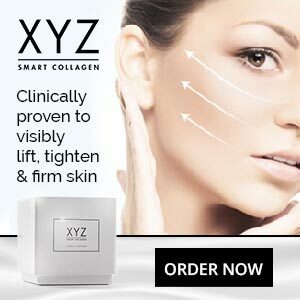 The ingredient has also been clinically proven to be a safe and effective fat burner. Caffeine (270mg): A popular natural stimulant that can aid concentration and increase energy levels. Caffeine is also a tested and proven metabolism booster. L-Theanine (225mg): An amino acid that is often added to nutropic supplements because it is good for preventing stress. L-Theanine is doubly valuable in the Phentaslim formulation because it can also boost mental alertness. L-Carnitine (200 mg): An amino acid that can assist the fat burning process and is also useful for speeding up post-exercise recovery times. L-Tyrosine (200mg): A stress-fighting amino acid that offers extra value due to its capabilities as a mood enhancer. Panax Ginseng Root (120mg): A popular herb that is used for a variety of purposes, including enhancing testosterone production. When testosterone levels are increased it encourages the growth of healthy muscle tissue. It also improves the body’s ability to burn its stores of fat. Guarana seed (100mg): A caffeine-providing fruit extract. Guarana releases its caffeine slowly, so the benefits last for quite a long time. Magnesium (80mg): Although magnesium attained from food is believed to be the most beneficial, it’s an important mineral that is known to support weight loss in a number of ways. Cayenne Pepper (50mg): A fruit extract that is gaining a reputation as an appetite suppressant, but has better credentials as a metabolism booster and fat burner. Zinc (15 mg): A mineral that is often used in testosterone boosting supplements. Black Pepper Extract (6mg): Provides an alkaloid (piperine) that enables the smooth absorption of other ingredients. Vitamin B3 (20mg), Vitamin B6 (1.7mg), Vitamin B1 (1.3mg), Vitamin B12 (10mcg): B Vitamins are essential for a healthy metabolism. When we are evaluating a product one of the first things we do is to compare its alleged capabilities with the abilities of the ingredients it contains. In this case everything stacks up nicely and that’s a very good sign. No side effects have been reported, but the pills are not intended for anyone who is pregnant, nursing a child, or under 18-years of age. The usage guidelines also state the pills are not for anybody who has a BMI of 18.5 or less. Anyone who has existing health problems should check with their GP before they start taking Phentaslim. People who are taking medication would be wise to do the same. One capsule is required (with water) 20 minutes before breakfast. Another capsule is required 20 minutes before lunch. Only two doses are required each day and best results can be obtained if the capsules are used with diet and exercise. Potential and existing customers who have any questions or concerns can get in touch with customer services by visiting the manufacturer’s website and opening a support ticket. The site also has an online chat facility and a third option is to send an email. Phentaslim is sold with a 60-day money back guarantee. When we look at the Phentaslim formulation we see a blend of ingredients that should deliver the kind of results customers are told to expect. When we look at the Phentaslim customer reviews we can see a lot of customers have already received the kind of results they were expecting. Both these things are good, but the presence of 60-day money back guarantee takes these two good things and makes them better by ensuring customers have extra peace of mind. We’re still think the product may have benefited from a better name but, apart from that, it has everything else going for it. Phentaslim is not available in the shops or via any online stores. It can only be bought from the official website. There are 60 capsules in a bottle of Phentaslim, that’s sufficient to last for 30 days, and customers who buy more than one bottle can expect savings.